Lewis-Clark State College has its next baseball coach. The school has selected former Warrior baseball player Jake Taylor to take over the program after Jeremiah Robbins steps down after this season. Taylor, who played at LCSC in the early 1990s, says the move is a special one for a former Warrior. Taylor will coach at the collegiate level for the first time after 20 some years at the high school and legion level in the Boise area. Robbins is resigning following the end of the 2018 season to become the inaugural head baseball coach at Umpqua Community College in Roseburg, Oregon. 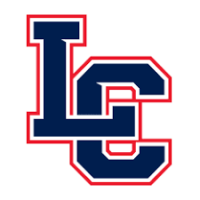 Robbins, who is in his sixth season at LC, says an opportunity to move closer to family and build a program from the ground up were the motivating factors in the decision. Under Robbins the Warriors have appeared in five consecutive NAIA national championship games – winning the past three in-a-row.